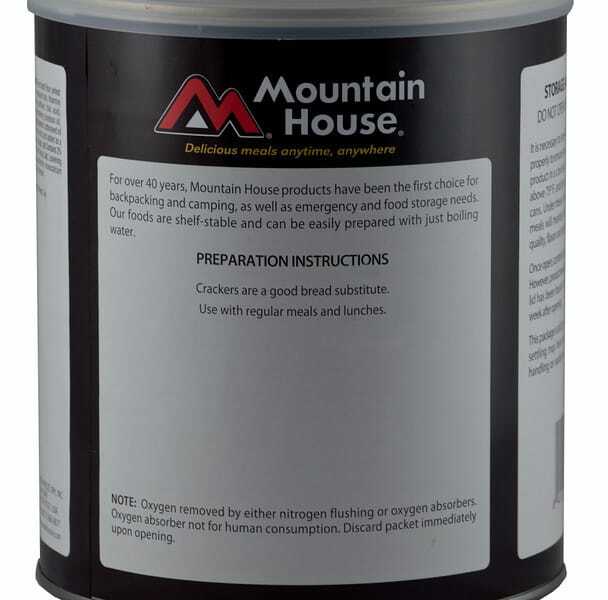 Mountain House pilot crackers in a #10 size can are an excellent addition to any emergency food storage program. These crackers are a good snack, or they can be added to many other dishes to create additional variety. With the 25 year shelf life, you can store them away until you need them, or just use them for every day enjoyment. Whatever you plan on using these crackers for, you’ll be glad you have them around when you need them. 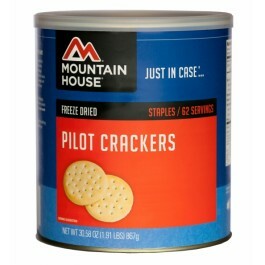 Pilot bread crackers from Mountain House are a staple in many people’s food stockpile. They are extremely versatile, making a quick snack, a side dish or an ingredient in many recipes. With 67 servings in each can, you’ll be able to enjoy these crackers for a long time. There are plenty of them in each can to last an entire family for quite some time. There is no preparation needed, so just pull the crackers from the can, and enjoy them. 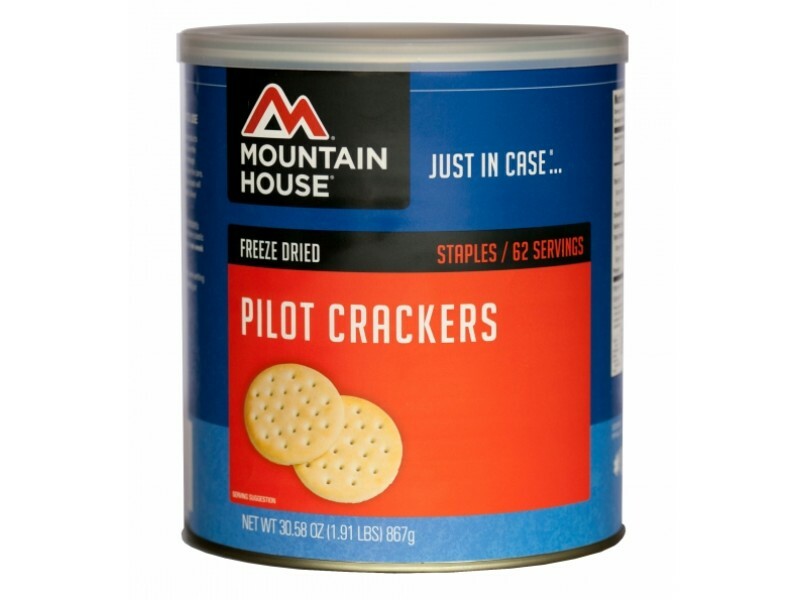 Many people use these pilot crackers as a bread substitute, and sine they will last a lot longer, this is a smart choice. 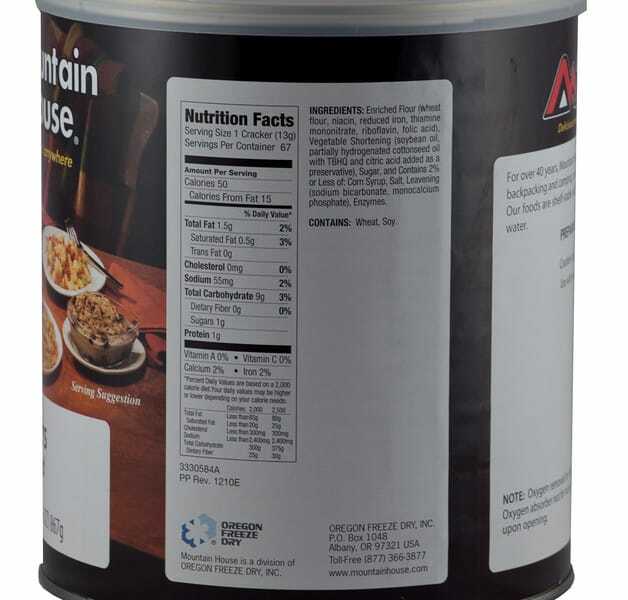 Each serving has 50 calories, which are often very important when in any sort of survival situation. You can grab a few of them while on the go, or hand them out as snacks while out camping, hiking or even on a long car ride. 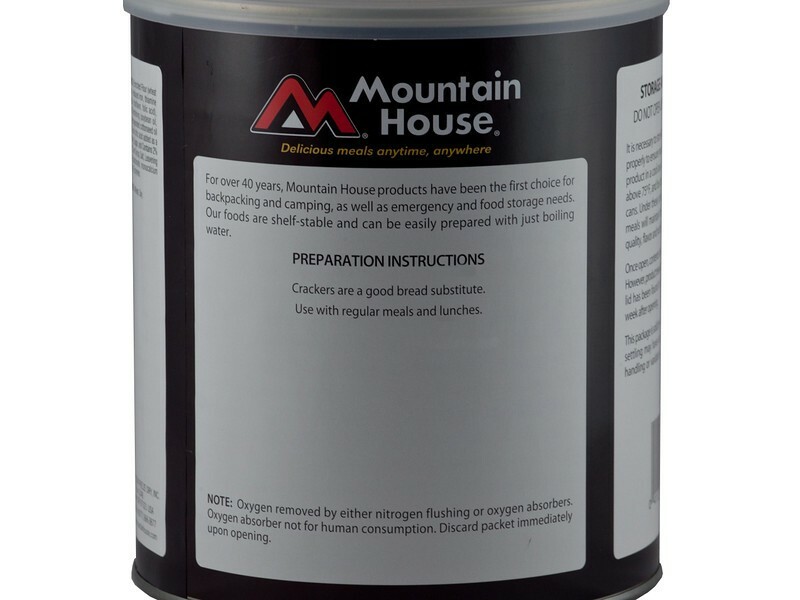 These delicious crackers are one of the most versatile items on the Mountain House product line, which is likely why they are so popular. 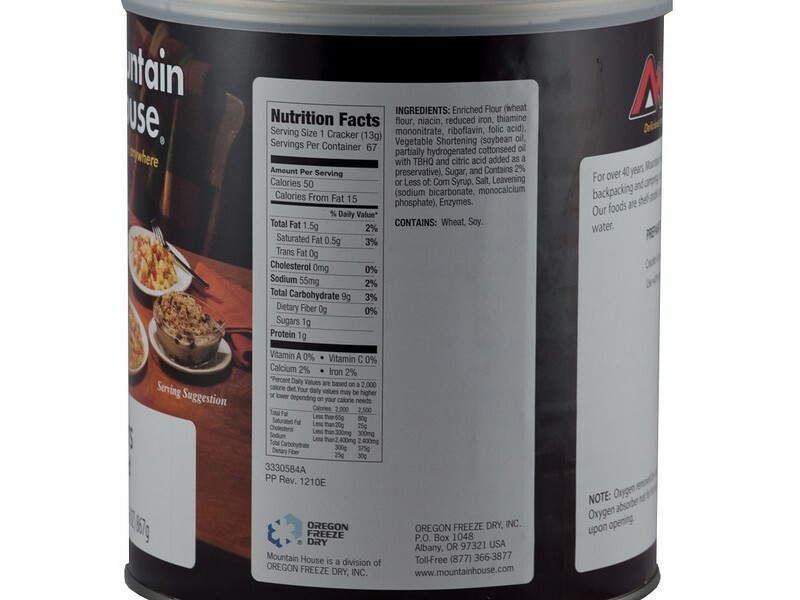 If you’re looking to grow your food stockpile, and you want something that can be used in a wide range of different ways, this #10 can of pilot crackers is the perfect choice. Buy one can, or many, and you’ll be able to enjoy these crackers any time you need them for long into the future. One can contains 67 servings with 1 cracker being a serving.